Meredith Kerley is a Licensed Clinical Social Worker who specializes in the treatment of both adolescents and adults in individual and group therapy. As a therapist, Meredith builds upon each individual’s strengths and uniqueness. She works collaboratively with clients to discuss their concerns and assist them in gaining greater insight and clarity of mind. Meredith provides a confidential, warm, and safe environment in which clients can explore past and current issues, weigh their options, and change longstanding counterproductive behaviors. She believes that it is through this work that clients are able to live more authentic lives and experience more fulfilling relationships. 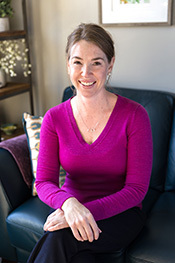 Meredith’s experience includes working with clients on a variety of issues, including depression, anxiety (Generalized Anxiety Disorder, Panic Disorder, Obsessive Compulsive Disorder, and Social Anxiety Disorder), eating disorders, domestic violence, trauma, difficulty with impulse control, maladaptive coping skills, self-harming behaviors, and life transitions. While Meredith utilizes various evidence-based therapeutic approaches tailored to the needs of each individual, she often practices using Cognitive Behavioral Therapy (CBT) and Dialectical Behavioral Therapy (DBT). Meredith has received additional training in both therapeutic approaches. 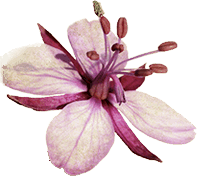 In addition to providing individual therapy, Meredith offers an adolescent DBT skills group. The group is for adolescents between the ages of 13 and 18 who experience affect regulation difficulties, and it covers the four modules within DBT – mindfulness, distress tolerance, emotion regulation, and interpersonal effectiveness. Participants learn skills so that they are better able to tolerate and manage stress and personal crises, regulate emotions and moods, reduce impulsive and self-harming behaviors, and have more stable and satisfying relationships. Prior to joining The Growth and Recovery Center, Meredith worked for nine years at The Women’s Center in Vienna, VA. During this time, she also provided therapy to college students within a university setting and therapy and case management services to HIV/AIDS patients within a medical setting. Meredith Received a Master’s in Social Work from Virginia Commonwealth University in 2008 and is licensed to practice in the state of Virginia.